Monday morning we woke early again. Not at 4 am but still before sunrise. We got ready for the day and packed our suitcase for our trip to San Francisco. Again we enjoyed a hardy breakfast before departing the hotel. We took our luggage to the car and the air was filled with a heavy fog. I wasn’t looking forward to traveling in the fog but the visibility was good. We looked at the map on the phone to see how heavy the traffic was on the highway. There was a lot of red. The mapping program wanted to take me in a direction with less traffic and faster but that route would have taken us over the Bay Bridge and not the Golden Gate Bridge. We ignored the phone for a few miles until I got the phone to see it my way. It was a good drive on highway CA-37. CA-37 passes thru the San Pablo National Wildlife Refuge on the north side of bay area. We were able to see lots of wildlife birds in the refuge as we drove towards US Highway 101. We merged onto the 101 and the fog was lifting as we traveled. As we continued on US Highway 101 I was keeping and eye out for the Golden Gate Bridge. All the sudden the bridge appeared over a hill. We drove thru a tunnel and exited the 101 to take a better look at the bridge. We headed to the west side of the 101 for our first look and photos of the icon of San Francisco. The fog was capping the top of the bridge supports. But what would this icon be without fog? After several minutes we drove to the east side of the bridge. We walked on to the observation pier for a look of the bridge from water level. The pier had several people fishing on the pier. The fish poles were heavy duty and the fishermen were reeling in three fish at a time. The fish were silver and about 10 to 12 inches long. Laurel asked one of the fishermen what kind of fish they were catching. The one responded with Mackerel. The fishermen were filling 5 gallon pails and coolers with fish. We also had the pleasure of watching a sea lion swimming around the pier. 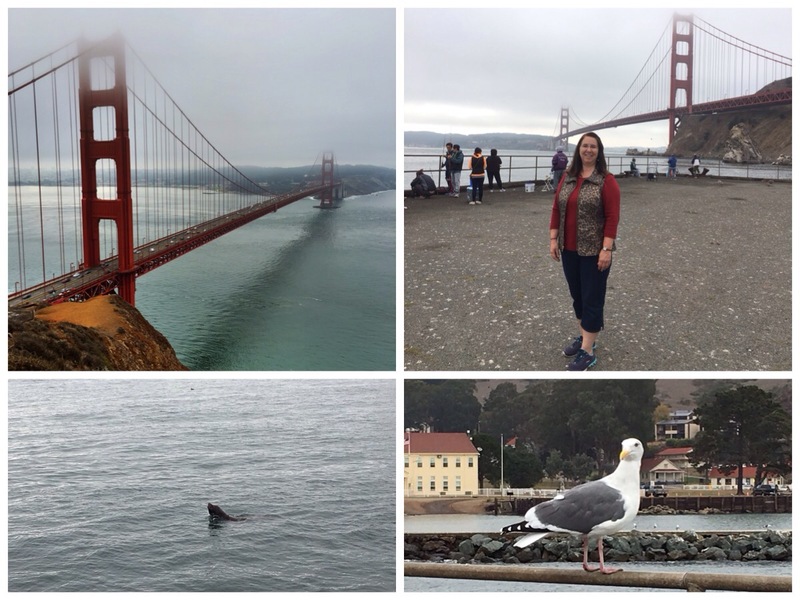 We headed back to the car and crossed over the Golden Gate Bridge. We didn’t stop on the south end but we did continue to our next attraction. As we exited off the bridge we looked for CA-1 south. The destination was the Hiden Garden Steps Project. There are two staircases are located near Grand View Park. The first one we stopped at was on the corner of Kirkham and 16th Avenue. If you love community projects to beautify a neighborhood or stained glass work this is the place to visit. The beauty of this artwork is unmatched. Each riser has its own story and all the riser together tell a complete story. After a short visit, because we had parked in someones driveway, we made the short drive to the corner of Moraga Street and 16 Avenue. 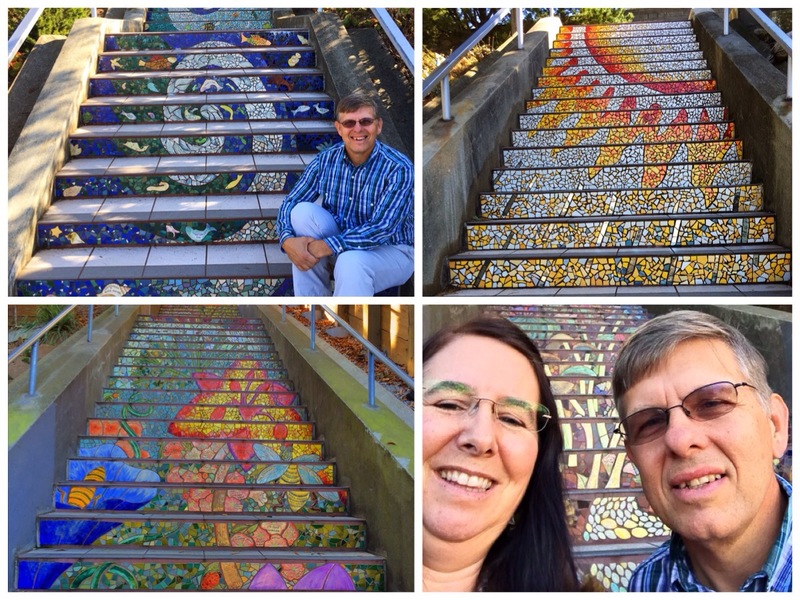 These are The 16th Avenue Tiled Steps Project. This stairway has 163 steps. We took photos and climbed the stairway. When we reached the top we continued to climb the steps on Grand View Park. The name says it all. This vista is a grand view of San Francisco. The sky had cleared and the sun shone brightly and it was a warm climb up the steps. We could see the Pacific Ocean, the top of the Golden Gate Bridge, Golden Gate Park and the financial district of San Francisco. After a good rest we made the climb down to the car. It was noon and we need to start looking for a place to eat. A few blocks away were some Chinese restaurants. Dim Sum sounded like an excellent choice. As I pulled into a parking stall I spotted a hot dog restaurant. With a name like Underdog how can you go wrong. Side note- some of my beer choices are made on name alone. We were the only customers. We had a good conversation with the store owner. But when we had a bite of his handmade meats, they were incredable. I couldn’t have asked for a better lunch. As I said yesterday, I would like to eat at a small local restaurant and Underdog fit the bill. 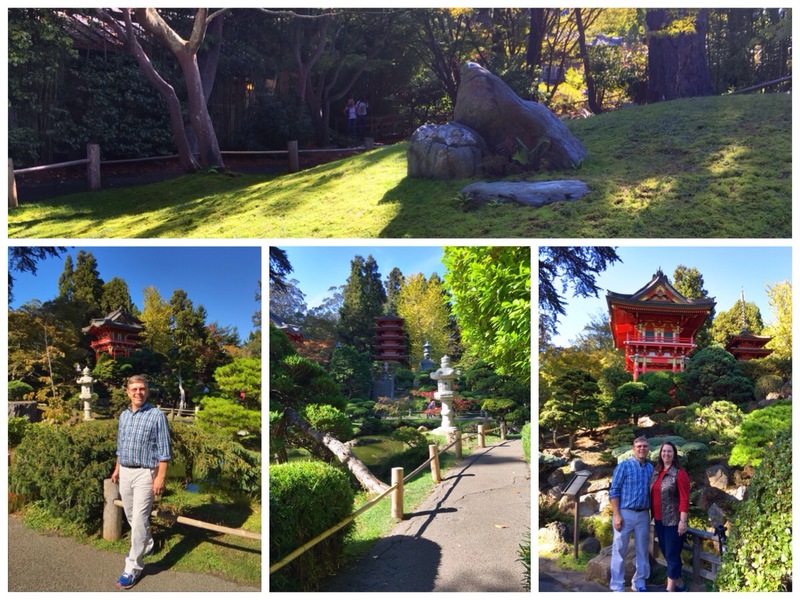 Our next stop was the Japanese Tea Garden in Golden Gate Park. When we arrived there was a tour guide just getting ready to lead a tour of the garden. She told us some of the history and enlightened us on the symbols of the plant in the way they were pruned. We didn’t stay for the whole tour. We broke from the group and saw some of the garden on our own. When we finished we went back to the car and traveled to our hotel for the evening. Our stay was at the Lombard Hotel. When we checked in I asked the desk clerk if we had a good view of the city. He responded with we would be vey pleased. We made our way to the room and entered the room. He was right. We had a small balcony that overlooked Lombard Street. In the distance over the roof tops was the Golden Gate Bridge. We had a great view. We went back down to the desk and asked about the cable cars and places to eat in San Francisco. He gave us some great tips on walking around the city and a list of restaurants in the area. Laurel and I headed off to ride the cable car. 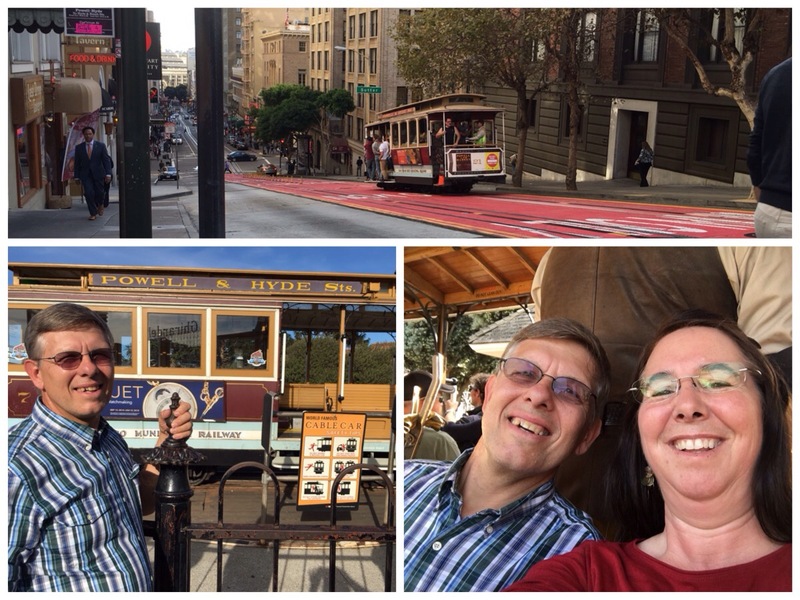 We rode on the Powell and Hyde line. We rode about 3/4 of the route before getting off on Bush Street. 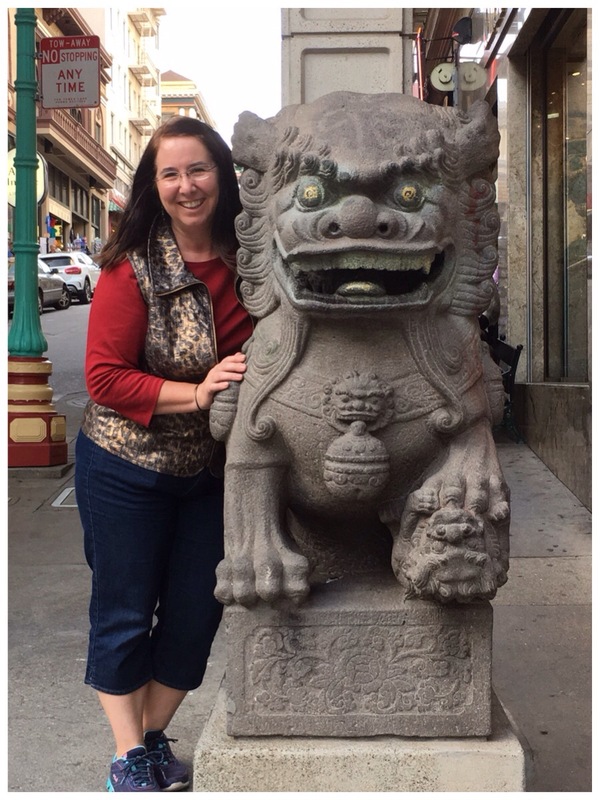 We walked down Bush Street to start at the Chinatown Gate. We walked the lenght of Grant Street before finding a city bus returning us near our hotel. We didn’t go to the hotel but went on to a recommended restaurant. Tonight’s choice was The Lemongrass, a small Thai restaurant. The food was very good. We asked for the entrees to have their spices reduced. They still had plenty of spice, so what would would it been like if they were fully spiced? We finished dinner and looked for a small bar to have a night cap before heading back to the hotel. We came upon the Black Horse London Pub. Its a small pub with seating for 8. We enjoyed a little conversation with the bartender and moved down the street to another bar in the area. We wondered into the Black Magic on another recommendation. Had another friendly conversation with the bar tender and headed back to the hotel for a good night sleep. The morning will find us on our final leg of our vacation, Monterey. For many years I had no desire to visit California or Florida, but the other 48 states are on my short list to visit and see the beauty of those states. Well that all changed two years ago. Laurel and I were in New Orleans for her annual veterinary dental forum and in the back of the forum catalog listed the upcoming conferences. The 2014 conference was to be in Atlanta Georgia and the following year it was going to be in Monterey California. That is when I made the decision to go to California. In the begining, planning was slow but as the date got closer the choices of places to visit started to take shape. I first had to clear the vacation time with my employer. With me working in retail, we are in the fourth quarter and also the Christmas season. When I first asked my manager he said I could have two days plus the weekend and I was hoping for more. Laurel said when the conference starts I could go home or I would be running around the area seeing the beauty without her. I made a counter offer to my manager for three days off and the weekend and he agreed. I filled out my paper work and started the planning for our trip. The plan was to fly out of Minneapolis as early as possible on Saturday so we could start our adventure in the early afternoon in California. I was able to find a flight into Monterey so it would save us precious hours on our return trip home. The two other airports in the region were San Francisco and San Jose. With the traffic in California, the time saving of flying in and out of Monterey it was worth the extra cost. Our flight took us thru Phoenix with a lay over of less than a hour before we caught our flight to Monterey. We awoke at 4 am and headed to Minneapolis to catch our flight. We got there in plenty of time and had a few extra minutes to get a quick breakfast before boarding our plane. The flight to Phoenix was a smooth 3 hour flight. The Phoenix area looked amazing as we were landing. I see in three years this forum will be in Phoenix. Should I start saving my pennies and planing? 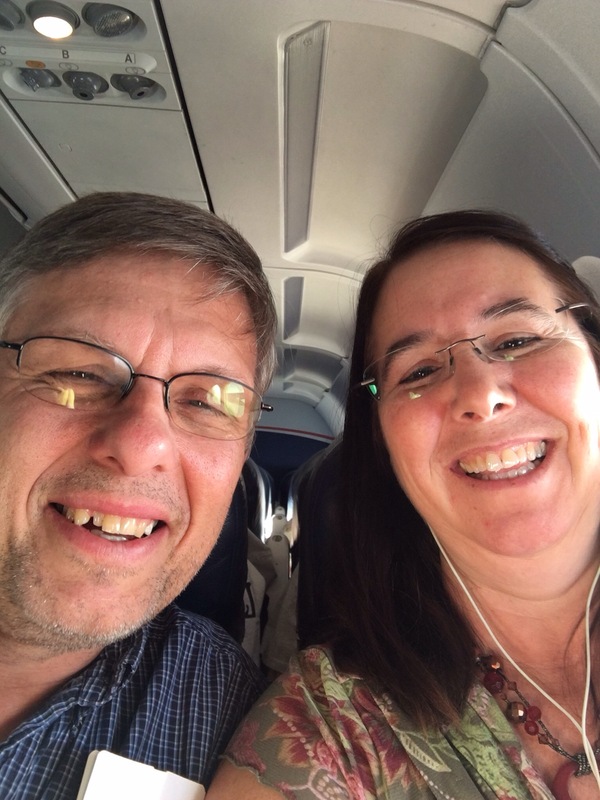 We boarded our plane for Monterey and enjoyed another smooth flight into Monterey. It was noon in Monterery when the plane landed and the sun was high in the sky with a very comfortable temperature. No Wisconsin clothing will be needed for several days. We made a smooth landing and exited the plane. Monterey airport is small. 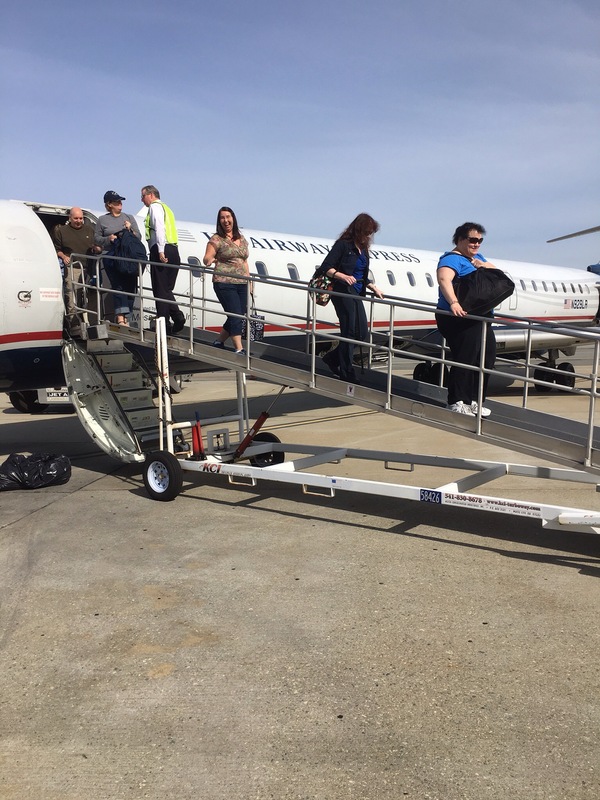 How small, I think there were 5 gates and when you exit the plane you walk onto the tarmac. When I flew out on Wednesday I had to wait for the TSA to reopen their check point. No need to be at the airport two hours before your flight. On our to way to claim our luggage we stopped at the car rental desk and picked up our car. A few minutes later we gathered up our luggage and made our way out to our car. First stop, something to eat. We needed a little lunch. We ate breakfast at 6 am CDT and now it was 1 pm PDT. we were running on 9 hours since breakfast. We grabbed a fast food lunch and started our tavels to our first sight to visit. Our hotel was booked in Vallejo California giving us a great base camp for Sunday’s day trip. 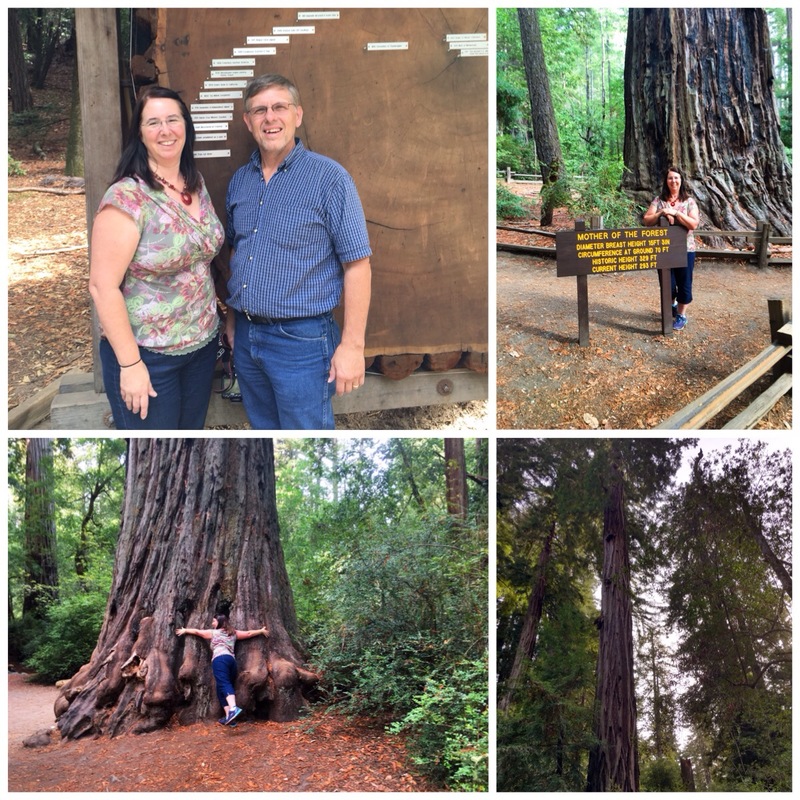 Before we headed to to Vallejo we made our way to Big Basin Redwood State Park. I told Laurel we could make a 1-1/2 to 2 hour stop and still make our hotel in plenty of time. Being it was Saturday the traffic was light by California standards. Big Basin Redwoods State Park features the Coast Redwoods. These are the tallest of the Redwoods. These trees can reach heights of over 300 feet with a life span of over 1000 years. We enjoyed a short nature trail near the park headquarters. The Redwoods were very impressive. Tall and strait and branches high off the ground. It was very easy to see around the forest floor and enjoy a small creek weaving it way thru the park, but there was still enough small plant life to block other visitor in the area. After several photos and a stop in the gift store/ small park store we grabbed an ice cream cone and head back to the car for our trip to Vallejo. Now a note on the road leading into the park and heading out of the park. You can bring your big SUV for the trip, but a sports car…this is where car makers film the preformace handling of their cars. Laurel reminded me several times to keep my eyes on the road and stop enjoying the scenery. Several times I looked in my rear view mirror and saw a BMW or a Mercedes looking for me to use the turn outs. I did use a few after I heard them honk their horn. I guess if I can’t drive with the performance dogs I should get off the road. 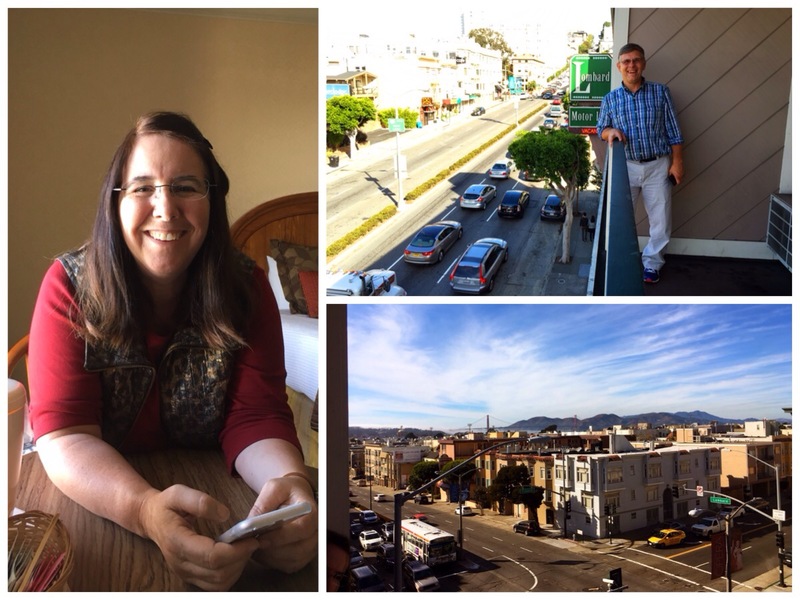 After the park we headed to San Jose and made our way to the hotel in Vallejo via the east side of the bay. We found our hotel and checked in and ask the desk clerk for any recommendation on were to eat. She said most of the restaurants in the area were chains but they were within walking distance. So we looked for a restaurant we wouldn’t find back home. 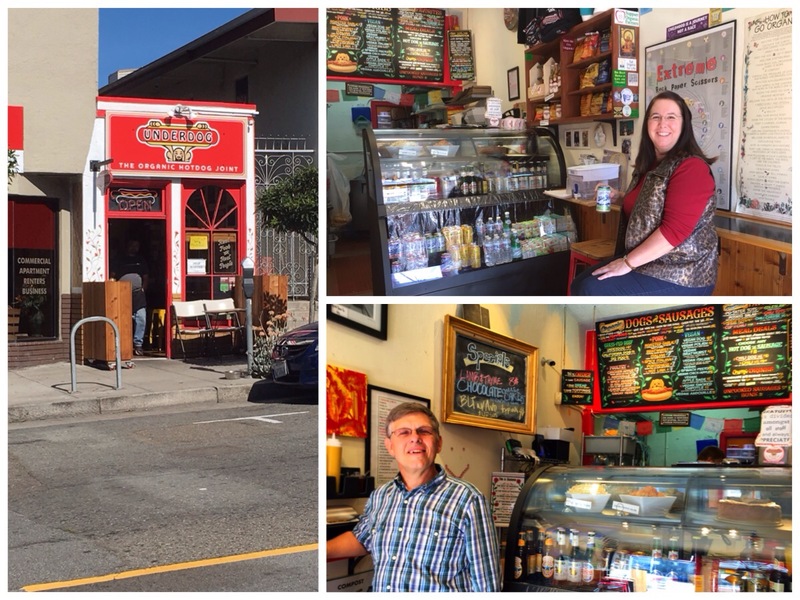 When in Vallejo….eat local! So our choice was Chevy’s a Mexican style restaurant. The restaurant was filled so we had to wait a few minutes. 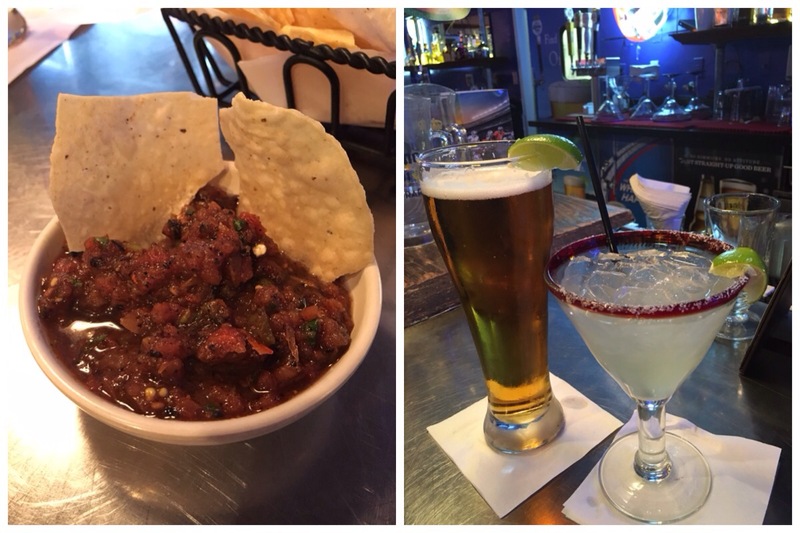 Laurel and I went to the bar and ordered drinks and enjoyed chips and salsa. Local restaurants in Wisconsin don’t serve salsa as good as Chevy’s. After 10 minutes, our table was ready and we were seated. We each ordered sampler style platers so we could try the the different flavors of Cal-Mex cooking. The meal was very good and a nice way to wrap up a long day of travels. We walked back to the hotel and got a good nights sleep so we would be ready for another big day on Sunday. Sunday’s plan was a day trip thru the central valley and the Napa Valley area.